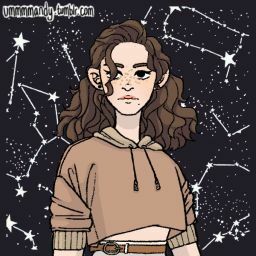 Author&apos;s Note: Hello fellow Wattpaders. (Is that even a word?) 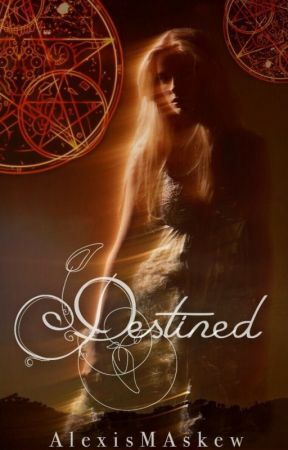 This is the rough draft of Destined, so you will find spelling and grammar errors within this content. It is currently being rewritten (though updates are far from regular) before the sequel. If you are a fan of Harry Potter, or anything involving magic, romance, and fast paced stories, then I am sure you will enjoy. Also, if you are a fan of dark fantasy, check out my current story, Shadows of the Night. The edited rough draft has replaced the original. Trust me, it is for the best. Never stop dreaming and hold on, until you can&apos;t any longer. That&apos;s the motto I&apos;ve lived by for fifteen years. For normal teens my age, they have their happiness, it is the key to everything until the vision of reason becomes clear. For me, it has always been clear. When I was six months old my Aunt and Uncle took me in after my parents died in a house fire. I, somehow, survived without a single scratch, burn, or bruise. I find it very hard to believe that is the truth. My life is controlled by those who disagree with me. My Aunt and Uncle may have taken me into their home, but there was no kindness in their hearts. I long for an escape out of their story so I can write my own, live my life. That is the illusion, and it is easier to believe and hope than to have nothing at all. Sharp knocking cuts through my head like a sledgehammer, waking me. "Get up!" My Aunt Mary calls through the door. I sit up slowly, reaching over to switch my lamp on. l scan my dimly lit room, the sun just now peaking over the horizon. Crawling out from under the warm blankets, I follow the normal morning cycle. I wake up early every morning to make breakfast for my Uncle, who sits at the dining room table reading the Dawn County Newspaper. My Aunt is either cleaning or out in the garden. Very rarely do my cousins, Stephanie and Billy, join us. There is no difference between them and their parents. Stephanie is mean, ignorant, and self-centered, so is Billy. He is one of the worst in my opinion. He always complains about every little thing and is a glutton. Like mother, like daughter; like father, like son I guess. Sadly, this morning just happens to be one of those rare mornings. I stumble down the steps and into the kitchen in my pajamas, sleep wearing heavy on me. I finally entered the kitchen, the morning light blinding and knocking into the door frame in the process. "Hurry. I have to leave soon." Uncle Dave barks from the dining room table, Stephanie sitting across from him. Stephanie looks nearly identical to Aunt Mary in the face. It is narrow with a pointed nose and round brown eyes. She&apos;s tall for a 16-year-old, her hair the same auburn as Uncle Dave&apos;s. I follow the same routine as always, except with more difficulty with Stephanie telling me what to cook as if I were her own personal chef. I am tempted to use the frying pan I am cooking bacon in to shut her up. When I finish cooking I set five plates of bacon, eggs, and grits at the table, preparing for the worst of them all to wake up. I take my seat next to Stephanie as Aunt Mary returns from her garden and the morning summer heat, making her way upstairs to wake the beast. I start nibbling on my bacon and say a silent prayer. My head is falling forward in exhaustion when the sound of fast footsteps echoing through the house makes me sit upright. Seconds later, in runs the 6 year old, already more hyper than a four-year-old on a sugar rush. "MorningDaddyMorningSisMorningBell." He says so fast to the point it sounds like one giant word. "Bella." I correct him under my breath, staring at my plate. Billy jumps into the seat across from me, shoving the bacon into his mouth, before wearing half his eggs and grits. I shake my head in disapproval and continue to slowly eat. "Mom, Bell&apos;s looking at me funny." Billy wines as Aunt Mary enters the kitchen. "Bella, stop it." Aunt Mary commands. I don&apos;t bother protesting, knowing I will never win. "There was a robbery on Smith Street yesterday." Uncle Dave announces as he drinks his hot coffee. "Oh dear." Aunt Mary replies, looking frightened. "Maybe we should get some better security." "Like a dog?" Billy wonders, jumping up and down in his seat, spilling the orange juice on himself. "No, Billy." Aunt Mary answers. "We already have a pet, Billy," Stephanie tells him with a dark grin as she pats my head. I turn and glare at her. "Better watch out," I warn her. "I bite." "Mommy, I don&apos;t like our pet." Billy cries. "She&apos;s not a pet, she&apos;s your cousin." Aunt Mary says, eating her breakfast. Her statement doesn&apos;t sound as if she were trying to convince him. "I still don&apos;t like her." "Well too bad, because you&apos;re stuck with me." I say to him. "Bella, don&apos;t be rude." Uncle Dave snaps. I sigh and grab my unfinished plate, standing up and taking it to the kitchen. Uncle Dave finally leaves for work, kissing Aunt Mary on the cheeks and hugging the siblings. I finish washing the dishes, trying to rid myself of the thoughts of what it would be like to have family that loved you, friends....anyone. I make my way back to my room, falling back onto my bed once I enter. My eyes grow heavy and I drift from my reality into a world where all things are possible. I wake from a dream where I was flying to find the window right of my bed open, the green leaves outside whipping in the wind. "What the-?" I get up to close it when a gust of wind sends something flying into my room. I spin around, searching for whatever the flying object was. When I find no bird or bug I shut the window and lock it. It takes sitting back down on my bed to noticed a rectangular envelope lying on my white sheets. I reach over cautiously and pick it up. How the hell did a letter fly through my window? On the back dark blue wax sealing it shut, an E impressed into the middle. I turn it over to see two words written in curvy black ink. My name: Isabella Cooper. Who would be sending me a letter? I can&apos;t help but wonder. I&apos;m fifteen and never once has anyone, friend or long lost relative, ever tried to contact me. I break the seal and open the flap, pulling out the neatly folded paper inside. I unfold the paper, reading over the writing. We are delighted to tell you that you have been accepted into Elementum Academy, a school for those who are special and gifted. All you will be required to bring is a few personal belongings, few clothes, and yourself. Meet at Realm Train Station July 31st at 12pm to be transported to Elementum Academy. I stare down at the parchment in utter confusion. "A school for the special and gifted" sounds like a nice way of saying "Hey, you&apos;re retarded. Congrats on being invited to the loony bin." Elementum Academy is a place I have never heard of, but I am familiar with Realm Station. It&apos;s a good distance from where I live, but if it meant an escape then I am more than happy to make the trip. That is all I can make of the strange letter. I look over at my calendar hanging on my wall, it reads July 22. I jump up and dash out of my room, quickly descending the staircase. I dash through the kitchen and out the back door. The air is hot, making it hard to catch my breath. Everything is bright and green as I scan the yard for my Aunt. She&apos;s sitting to my right kneeling down by a flower bed, wearing dirt covered garden gloves, a clutching a small shovel in her hand. She looks over when she hears the back door slam. I held up the letter, squinting in the sunlight. "Have you heard of Elementum Academy?" Suddenly, as if the word bit her, Aunt Mary is on her feet and snatching the letter out of my hand. She reads over it a few times, eyes flashing over the paper, before tearing it viciously in half. "What? What are you doing?" I demand, watching her in utter shock and bewilderment. "You will forget that you ever saw this." She replies, waving the mini shovel in front of my face. "Because you will not be going." "What&apos;s so bad about it? And what did it mean by special and gifted?" "Isabella!" I stop at the sound of my full name. She only uses it when she&apos;s angry, but she isn&apos;t the only one. I want answers. "Drop it." "Special and gifted" What does that mean? And what is this Elementum Academy? Why did my Aunt react the way she did? The last time she freaked was when I brought my mother and father when I was nine. Does this have something to do with my parents? These questions spin around inside my head just as fast as my ceiling fan above. I am so absorbed in them that I don&apos;t notice my locked window opening by itself. When I feel the hot summer breeze I jump up in shock. I run over to the window at the same time another warm breeze blows in another letter. I catch it and lean out my window, searching for the culprit. I glance left and right, finding only Ms. Garcia walking her brown chihuahua. There is no one, and no way for my locked window to become magically unlocked and opened. I look down at the letter, the exact replica of the one Aunt Mary destroyed. Whoever was sending these was determined for me to attend this Elementum Academy, and I&apos;m not going to disappoint them.